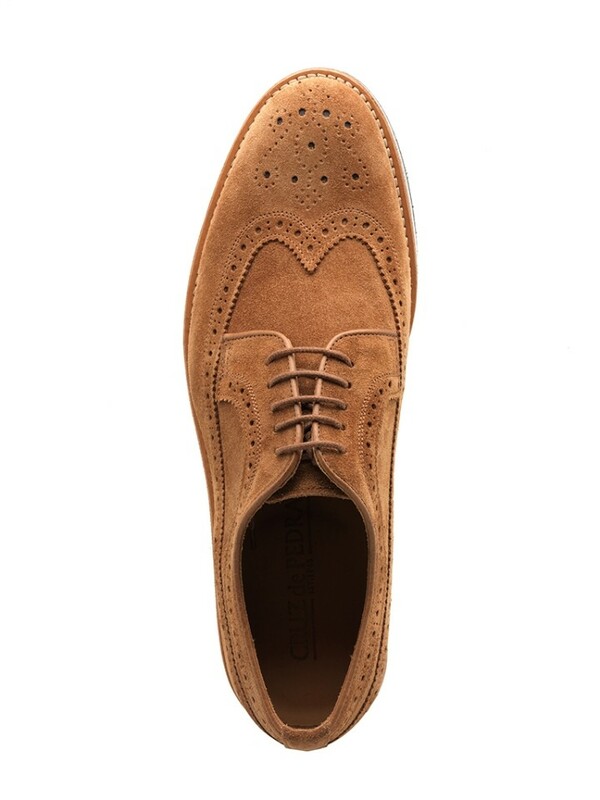 These Brogue shoes are made from scrupulously chosen supple plush suede. The elaborate punching detail, ornate decorations and wingtip toe, bear all the hallmarks of classical artisanal workmanship. 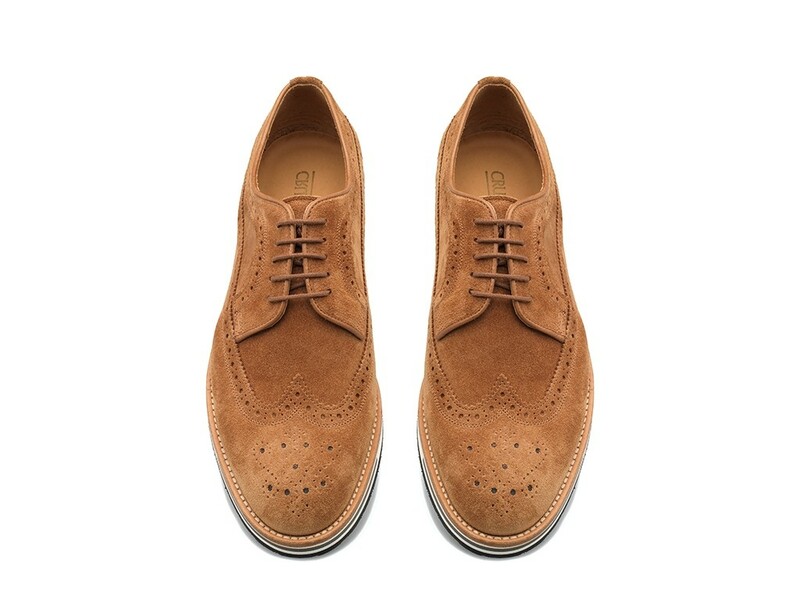 The multi-tonal rubber sole and contrasting natural welt, imbues the shoe with a casual feel.